We offer a plethora of options to make your special day an unforgettable occasion. 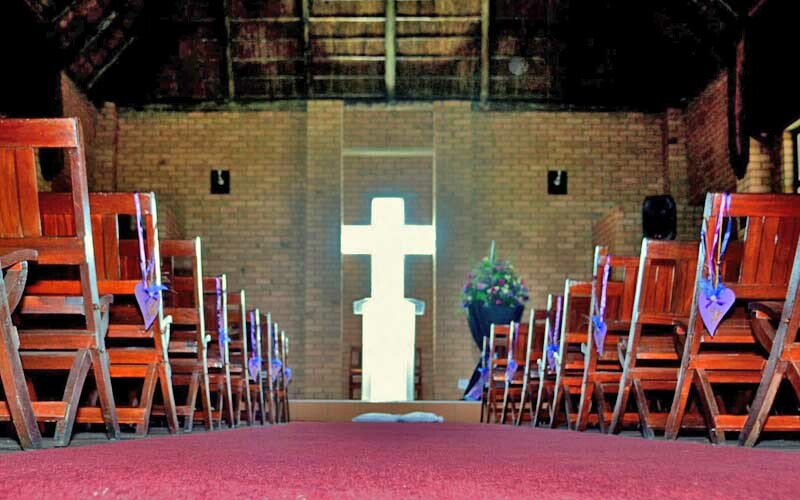 Various seating configurations to suit any religious or other ceremony. Many decor options to suit your theme. 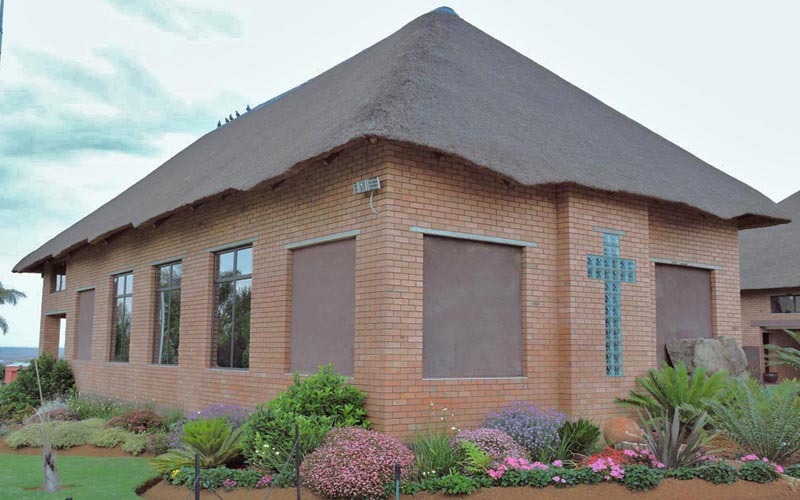 Our non-denominational chapel is a beautiful, traditional thatched roof building set within a lush sub-tropical garden. The interior features a tall, high pitched ceilings adorned with a show stopping central crystal chandelier with matching wall sconces. Tasteful, floor to ceiling drapery frame large windows offering expansive views out into garden featuring mature palms and exotic tree ferns. A multi-purpose podium as well as premium, individual wooden seating is available. These can be arranged in various configurations to suit any religious or other ceremony. For our famously balmy Highveld days, powerful industrial fans can be turned on to ensure your guests remain comfortable throughout the duration of your ceremony. A full-length red carpet can be rolled out which can be adorned with rose petals for traditional white weddings. A PA system is available ensuring everyone can follow along. Will Chris Estate Chapel is open for viewings by appointment only. Traditional chapel set within expansive, sub-tropical gardens. Seating capacity for 70 guests with multiple seating options. 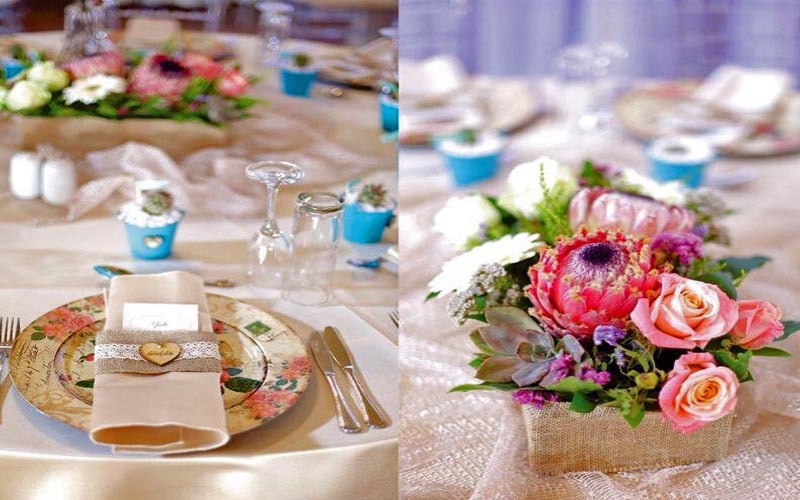 Stunning, budget friendly decor options to suit your theme and your pocket.